Kentucky's unknown political newbie, who enjoys more face time on Fox News than Bill O'Reilly, Rand Paul, appears to have the Republican nomination for U.S. Senate well in hand. As election day nears the news will shift and pundits will start to weigh in on the fact that Rand Paul will face an experienced and very successful campaigner, if the Democratic numbers hold, in Daniel Mongiardo. Mongairdo came within one tiny hair of upsetting Bunning in 2004 and he has experienced a statewide political victory while carrying now Governor Steve Beshear across the finish line in 2007, and everyone knows that Mongiardo was responsible for the Beshear victory. Paul, who will soon experience his own statewide victory, will be baptized by fire in the general election for U.S. Senate. Even though early theoretical polling shows Paul with a slight lead in the general his political scooby snacks are about to run out. The Tea-Bagger movement is quickly grinding to a halt and without that energy pushing the electorate Paul will not be able to stand toe to toe with Mongiardo at the end of the day. Primaries are won by rockstars and generals are won by experience. It is short and sweet. FRANKFORT - "Our campaign's never been about Jim Bunning; it's about fighting for affordable healthcare, affordable energy, and good jobs for Kentucky's hard-working families. Today's announcement does not change that," U.S. Senate Candidate Dr. Daniel Mongiardo said in response to Bunning's announcement today. We all knew this day would come and it is finally here, Jim Bunning will retire and call in relief pitcher Trey Grayson. This changes the dynamics of the entire race for sure. Mongiardo is locked in mortal combat with Jack Conway and it seems Grayson is well on his way to the GOP nomination. Paul and Bailey do not stand a chance with the McConnell machine in 5th gear behind one man. I guess David Williams finally realized that he could not win a statewide race for dog catcher, if we had that race on the down ticket, and decides not to seek the GOP nomination for US Senate. But he did predict that Jim Bunning will stay in the race. This is good news for Democrats. Now we wait and see if Trey Grayson steps out of the exploratory world and officially enters the race. Kentucky Democrats are abuzz over their party’s chances to grab Sen. Jim Bunning’s seat next year. “Bunning is widely considered the most vulnerable incumbent of the cycle,” wrote John McArdle in Roll Call. The Kentucky senate race will doubtless attract national attention next year. It’s big news when a Republican senator seems to be in big trouble in a Red State. Bunning is also feuding with the GOP Senate minority leader, who happens to be Kentucky’s senior U.S. senator. Once allies, Bunning and Sen. Mitch McConnell have become “Kentucky’s latest version of the Hatfields and McCoys,” according to the Louisville Courier-Journal, the state’s largest newspaper. Bunning claims McConnell wants him to bow out, evidently because McConnell thinks Bunning will lose. Apparently, other Republicans also believe Bunning should step aside for a stronger candidate. The 77-year-old Bunning vows he’s running. So far, Lt. Gov. Dan Mongiardo, who Bunning barely beat in 2004, and Atty. Gen. Jack Conway are the only big-name Democrats who want Bunning’s job. Darlene Fitzgerald Price, a retired customs officer, declared her candidacy in the May, 2010, primary before Mongiardo or Conway said they were running. But she has little chance against Mongiardo and Bunning. Coursey calls Mongiardo and Conway “great candidates,” adding, “…I think we can’t go wrong either way.” More than a few Bluegrass State Democrats agree. But some party leaders are choosing sides. Gov. Steve Beshear is for Mongiardo. The state’s two Democratic U.S. representatives – Ben Chandler and John Yarmuth – are backing Conway. State House Speaker Greg Stumbo is on the Conway team. So are Louisville Mayor Jerry Abramson and State Auditor Crit Luallen. Labor Secretary J.R. Gray, a former union official and veteran state representative whom Coursey succeeded, is for Mongiardo. That’s important because organized labor is a big part of the Democrats’ base in Kentucky, which is not a right-to-work state. Mongiardo – dubbed “Dr. Dan” because he is a physician -- and Conway are considered union-friendly. The state AFL-CIO endorsed them both when they were elected in 2007. This time, the labor group hasn’t weighed in behind either candidate and might not. “We expect to see a lot of Dr. Dan and Jack Conway between now and next May,” said Jeff Wiggins, a Steelworker and president of the Paducah-based Western Kentucky Area Council, AFL-CIO. But Wiggins, who is on the Kentucky AFL-CIO Executive Board, cautioned, “It’s way too early to tell” who – if anybody – the state labor federation might endorse in the Democratic primary. Dr. Rand Paul, Trey Grayson, David Williams and Cathy Bailey are mentioned as possible GOP primary candidates. Paul, an opthamologist, is the son of former congressman and unsuccessful presidential candidate Ron Paul. Grayson is Kentucky secretary of state and Williams is state senate president. Bailey is a former U.S. ambassador to Latvia. The filing deadline for the May primary is months away. Even so, no other Democratic heavyweights seem inclined to join the Mongiardo-Conway bout, which Coursey hopes won’t be too bruising. “We don’t need to bloody ourselves up,” he said. But early evidence suggests they may duke it out. The Mongiardo camp has thrown what looks like the first punch. “The lieutenant governor would welcome the opportunity for Democratic voters in Kentucky to compare their records, their values and their stands on the issues and make a determination, and we are confident what that decision will be,” McArdle quoted Kim Geveden, a Mongiardo campaign consultant. In Kentucky, “values” means social issues like abortion, gun control and gay marriage. Geveden’s challenge, “signaled that their campaign is likely to paint [Conway]…as a Louisville liberal,” columnist Al Cross wrote in the Courier-Journal. For a long time, there was a strong anti-Louisville bias among Kentucky voters. That’s changed. McConnell is from Louisville. But “liberal” is still largely synonymous with “leper” in Kentucky politics. Kentucky is among the reddest of the Red States. Many, if not most, Bluegrass State Democrats are among the bluest of the Blue Dogs. A lot of them vote Democratic in local elections, but also cast ballots for Republicans such as Bunning, McConnell and John McCain. Mongiardo, from Hazard, population about 4,800, may indeed try to paint Conway as a liberal from the state’s largest city. If he does and Conway wins anyway, Mongiardo, however unintentionally, will have given the Republicans more ammo to shoot at Conway in November. The Mongiardo – and Conway – campaigns would do well to modify Reagan’s admonition to say “any fellow Democrat” and agree to stick by it between now and next May. When candidates beat up on each other in a primary fight, it can cost their party the general election, the one that counts. WHAT WE KNOW TODAY: If Bunning Quits, Grayson is Interested. I have to make a post or two before my Metal vacation. WHAT WE KNOW TODAY: At this point things can change as fast as my lightning jabs. According to our sources, Bunning is staying put, as of today. One interesting rumor is that Mike Duncan might pick up the ball and run with it if Bunning quits. But we now know that he has indicated no interest in the race. We asked Trey Grayson if he was interested, we got the standard response. "Senator Bunning is a friend and a mentor. Senator Bunning says he is running for re-election. As I have stated before, if he were to decide not to run, I would definitely be interested in the race." Fundraising Showdown: How Much did Jim Bunning Raise? Mongiardo is Building a Huge War-chest! Hot Rumor! Bunning Close to Resigning? I know we have been here before and it led to Bunning having to publicly state he was NOT resigning. Our source says that Bunning is counting his chips and weighing his options. And he now realizes the dogs are coming for him. The source also says he is tired and basically fed up with the silent treatment from the GOP establishment. 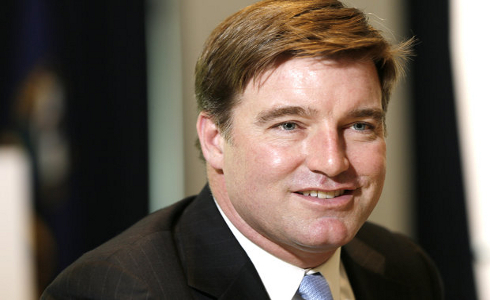 It's official, Jack Conway will challenge Lt.Gov Daniel Mongiardo for the Democratic nomination for US Senate. Mongiardo's camp is already questioning if Kentuckians will elect two senators that live less than 50 miles away from each other. A very interesting argument, considering 98% of Kentucky does not reside in Louisville. As of today, Conway has the support of the Democratic establishment; Luallen, Chandler, Stumbo, and soon to be announced special guests. This so called Democratic establishment is the liberal wing of the Kentucky Democratic Party. This race will be Liberal vs Moderate. But as of today I now question Luallen and Chandler. It makes one wonder why they chose to back a candidate with VERY little experience in public office. I have always questioned Stumbo, and to be honest, his endorsement will hurt Conway. This is what we know as of today. Citing recent interviews, it appears my original prediction that Conway will jump on the coal band wagon was correct. He can tout his support for coal but it will do him no good. The now infamous EPA letter will ensure he gets no support from coal or coal communities. His family has also contributed $69,000 to John Yarmuth over the years. There is no bigger enemy to coal than Yarmuth. Conway can not explain away these facts. Citing recent interviews, it appears Jack Conway supports gay marriage. If one believes SB245 was discriminatory, then that person supports gay marriage. That is not a complicated argument. This amendment appears to close potential loopholes for tax benefits, i.e legal status. It also protects the sanctity of marriage. Also, Jack Conway needs a Civics refresher, because to LEGISLATE means not only to sponsor or co-sponsor, it means to vote on or against. Conway should look up the definition of LEGISLATE. ""Are you in favor of amending the Kentucky Constitution to provide that only a marriage between one man and one woman shall be a marriage in Kentucky, and that a legal status identical to or similar to marriage for unmarried individuals shall not be valid or recognized?"" Jack Conway can not escape the fact that he has NO experience. HE can not hide the fact. Why is Conway a viable candidate? His endorsements? I don't think so. His one year public office? I don't think so. His looks? If he was Joe Jackson looking mofo, he would not be as popular. I really can not figure it out. Nothing personal to anyone or any group of people. But these questions are important. We have a long, long, long time before election day so these questions have plenty of time to get answered. And Jack Conway will have to take a stand, one way or the other. Interesting that the pollster failed to poll the Democratic primary. I was expecting some head to head numbers. Mongiardo is looking very strong. This will be one spirited race, I can guarantee that. Analysis: What we know today; Chandler is not running, Crit may run, Jack Conway is running, Trey Grayson may run and Mongiardo has already announced. Mongiardo is favored more than any other Democratic candidate other than Luallen. Crit is in the papers every week, but 36% don't know her, that's bad news. Mongiardo's fav/unfav numbers reflects his high name ID, 25% unsure if they favor Mongiardo or not. I have never hid the fact that I support Lt. Gov Daniel Mongiardo for US Senate. Currently, the Democratic Party in Kentucky is split down the virtual middle. In fact, our Democratic Party has never been unified, if we were, Mitch McConnell and Jim Bunning would not be serving in the US Senate. It is a Rural versus Urban thing here in Kentucky, Liberal (now calling themselves Progressive) versus Moderate. Democrats from both sides are at odds on many fronts; Abortion, Gay marriage, coal mining, mountaintop removal, religion, and on and on and on. Daniel Mongiardo tries to serve all sides. Mongiardo has never been afraid to take a stand, even if it pisses off one side and pleases the other. In Eastern Kentucky coal is king, but their grip is loosening. Mountaintop removal has become a master wedge issue, but most Eastern Kentuckians support the practice, right or wrong. Coal issues are a lot like Kentucky Basketball, if you speak against it, people want to hang you immediately. Mongiardo grew up here, he knows the destitute state of this region's economy. Eliminating thousands of jobs is totally out of the question. But we should be looking for answers. Robotic mining could be the answer. We could mine the coal and save the mountains. That technology is coming to this area. It is time to start new era in Kentucky, not John Calipari as the new coach of UK, but Daniel Mongiardo serving as the people's US Senator. I hope young and old members of our Democratic party figure out a way to embrace Mongiardo's candidacy. And I do hope other potential Democratic candidates figure out a way to step aside and let destiny serve itself. We need to find a way to unify and avoid a destructive Democratic primary. All sides are passionate about their candidates or potential candidates. People believe in different things, that's the glory that separates us from the primate. In politics it usually comes down to cash-on-hand. In the next week or so we will get a peek at the first round of fund-raising numbers. Bunning sounds like he is making excuses for his poor fund-raising. Hopefully Daniel Mongiardo fared a little better. But one thing you will never hear him bitching about is the fact that as soon as he announced his candidacy, which makes him eligible to fund-raise, Kentucky experienced a devastating ice storm. I am sure he suspended fund raising in the wake of that tragedy. Mongiardo is taking some heat for his fight for our chief economy in Kentucky, coal. Mongiardo understands his community and works for the people, those who have to work for a living. Mongiardo is 10 times the leader of any other candidate or potential candidate. Hopefully he proves that with strong, as strong as it can be in these hard economic times, fund-raising. I love it that every couple of weeks Chandler chimes in to do a bit of political posturing . That faction of the Democratic party preaches against the good-ole-boy tradition and practices. Chandler's posturing is nothing but a classic good-ole-boy tactic, an attempt to slow up someone elses fund-raising. So we will see. UPDATED 630PM - Roll Call reported today that the DSCC has commissioned a poll showing Bunning under 30%, well it seems Roll Call and The Rural Democrat chewed on the same dirt. The news comes amid another week of bad press for Bunning. On Tuesday, the junior Senator from Kentucky took aim at his party leadership, blaming them for impeding his fundraising efforts this quarter. Bunning began the year with a paltry $150,000 in the bank. A very very very reliable source has just informed us that the DSCC has sponsored a US Senate poll for Kentucky. The numbers that I have just received are as follows, they may not be totally accurate. Daniel Mongiardo has a double digit lead over Jack Conway but the exact numbers are unknown at this time. I should have this poll in hand, hopefully, by the end of the day today or tomorrow. New Jersey Senator, Bob Menendez, Chair of the DSCC, is apparently pals with Conway, Bob's son and Conway apparently went to school together at Duke. Just what I heard. The biggest rumor is that the DSCC will not release this poll! Why? We can speculate that the outcome did not suit the DSCC big-wigs. Contact the DSCC and ask them to release this poll !!!!!!! Snow, slush, nasty weather and boredom, that is how I would describe today. No real highlights just another day. In case you missed it yesterday Secretary of State Trey Grayson is not considering a primary run as long as Bunning is around. McConnell is still mum, not a word, hush hush about Senator Jim Bunning's reelection. Bad news for the incumbent senator. Bunning also snubbed President Obama, he missed a little get together arranged by none other than Senator McConnell. Time for Bunning to reach-out and get with the program. But that's not likely to happen. Someone actually gets it right, Beshear would likely not, out right, endorse any Democratic candidate. Yesterday we put the rumors to rest that Beshear was going to openly support a Democratic candidate other than Mongiardo. I would expect that Governor Beshear will do the right thing by all the Democratic candidates. This issue is dead and now we can move on. And we still believe that if any statewide candidate spokeout against coal in Kentucky he or she would be committing political suicide. Coal will be a major issue in the 2010 Democratic primary for senate. With a recession beating everyone to death the energy sector could still maintain increased production. Coal is at the center of our economy in Kentucky and I hope someone has a plan. I guess the rumors that Senator Mitch McConnell and the GOP are trying to push Jim Bunning aside are true. Bunning lashed out at the senior senator this morning on a teleconference with state reporters. McConnell "had a lapse of memory when he was speaking to the press club last week when he said he didn't know what my intentions were," Bunning said. "Whatever Mitch says is whatever he says. He's the leader of the pack and he can say whatever he wants and get away with it." Bunning also expressed frustration with what he sees as a systemic lack of financial support from both McConnell and national Republican fund-raising committees. "For two years Sen McConnell had a broom out and swept the state of Kentucky. For two years I did not hold a fund-raiser in the Commonwealth of Kentucky because I knew how important McConnell's race was," Bunning said. I promise we will shut up about the senate race tomorrow, but it is freezing rainy sleety boring today. 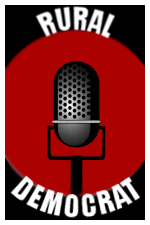 Here is a round up of yesterdays coverage in regards to Daniel Mongiardo's announcement that he is stepping into the ring against junior Senator Jim AWOL Bunning. We had the privilege of some nationwide coverage yesterday as ABC News, Ben Smith at Politico and the Daily KOS gave us a hat tip for the press release. National coverage was exciting for Mongiardo, not so much for Bunning. McConnell is still hush hush about Bunning, another bad sign for the GOP, they stand to lose yet another seat. It appears they are jumping or have jumped from a sinking ship. How long can Bunning hold out? I predict that he will hold out indefinitely. No one seemed to react to the venom being tossed at Mongiardo, no real dialog just a ringing ranting calling Mongiardo a gay hater, thats hitting below the belt, not very Democratic. Now we watch the money machine roll, we have to wait until April 15th before we get a peek at the cash on hand. I predict a fund-raising marathon, maybe a one-sided marathon. Senate Guru predicts Chandler and Luallen will stay out of the Democratic primary but predicts Conway will take the plunge. If so he better not wait until next year, the low hanging fruit will be gobbled up as the machine picks up steam. The Fix had the photo of the day. Bunning looks pissed off and ready for a fight, he might get what he wants but I don't think he will like what he gets. Lt. Governor Daniel Mongiardo announces his candidacy for US Senate effective today. We need to get behind Daniel Mongiardo as the consensus Democratic candidate and avoid a divisive and expensive Democratic primary. Daniel Mongiardo is a torch carrier for health care reform, education and most of all he will carry the torch for all Kentuckians. We need to get behind Mongiardo as the consensus candidate and lets win this thing. 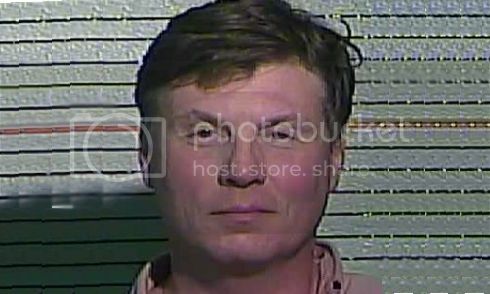 FRANKFORT– Lt. Governor Daniel Mongiardo announced today that he will challenge U.S. Senator Jim Bunning in 2010. Mongiardo, a practicing surgeon, was a two-term State Senator when he first challenged Bunning in 2004. Despite being largely unknown and significantly outspent, Mongiardo lost by a razor-thin 1.4% vote margin, receiving more votes than any other Democrat in Kentucky history. Mongiardo ran with Beshear as a Gubernatorial Slate in 2007, handily defeating Republican incumbent Governor Ernie Fletcher and his running mate Robbie Rudolph. I first ran for public office because of my passion to improve health care for all Kentuckians. It is this ongoing passion that has led to my decision to continue working to help solve our health care crisis by filing the necessary papers, later this week, to run for the United States Senate. The people of Kentucky deserve a Senator that has the vision, energy and record to help improve our state and country. After the current legislative session, I will launch a vigorous campaign to replace Senator Jim Bunning. As a practicing surgeon, State Senator and now Lt. Governor, and most importantly, having lost a brother due to lack of adequate health care, I have made fixing our broken health care system my life’s mission. I understand and see every day how the cost of health care is burdening families and damaging the ability of businesses to compete, to grow, and to create jobs. To have a strong economy we must have an equally strong health care system that works for all Americans. That is what I will fight for in the United States Senate. With our nation facing enormous challenges, families and small businesses mired in a deep economic recession, rising health care costs and declining incomes, we have a senator who is simply not getting the job done. Jim Bunning is absent at this critical time. He offers no ideas, no action and no solutions. I believe today, as I did in 2004, that Jim Bunning continues to fail the people of our Commonwealth. Kentucky’s families deserve better. Working together over these past 14 months, Governor Beshear and I have expanded access to health care for Kentucky’s children and laid the foundation to transform our health care system into a model for the nation, opening the opportunity to attract millions of dollars in new investment and to create thousands of high-paying jobs. However, the decisions made in Washington in the coming years will have a major impact on the effectiveness of the reform strategy we have so carefully crafted and nurtured for Kentucky. I believe it is critical to our success as a Commonwealth to have a Senator who understands what is at stake for Kentucky and will fight for quality, affordable health care for every American. I supported President Obama in both the primary and general election in part because we both share the same vision and commitment to reforming health care. I am confident that I can be more productive and make a greater contribution as a United States Senator to help improve health care and improve the lives of all Kentuckians than I can as Lt. Governor. During my remaining term as Lt. Governor I will continue to work with the Governor as he continues moving Kentucky forward in the right direction. It is a good thing to pay attention to The Hill and the The Fix, sometimes they get the goods on our statewide races. The Hill confirms what everyone had been saying anyway, that the GOP in Washington are trying to figure out a way to push Bunning aside. Sen. Jim Bunning (R-Ky.) barely held onto his seat five years ago, and some are questioning whether he’ll run again in 2010. The Hill reports that Bunning only has $175,000 in the bank. If he is really running for this office why isn't he cashing some huge GOP checks? Could Bunning Be Pushed Aside? News is slow and everything is boring. I think the hot flap going around is the possibility that Kentucky's junior senator Jim Bunning could be asked by the GOP to step aside. The Fix dropped the first real solid hint that there is the possibility that the GOP could ditch Bunning. Daniel Mongiardo has already stated publicly that he does not think Bunning will run. Bunning of course said it is a free country, so it appears Bunning is running as of today. Some names are being thrown around for a GOP primary. Of course Trey Grayson and I am hearing that Steve Pence may run. The possibility of a Pence/Grayson primary would be fun to watch. What does it mean? 18 months out it means that the majority of the participants, mainly Eastern Kentuckians, want Daniel Mongiardo to be their candidate. We need to break down these results a little better to understand exactly what these results mean today. Lt. Governor Daniel Mongairdo recently had a sit down and an interview with the TheHill.com HERE about the possibility of making a run against Bunning in 2010. It seems some of the national pundits are waking up and realizing that Daniel Mongiardo is the odds on favorite to be the consensus candidate for the 2010 Democratic primary for US Senate. LET HIM RUN, I hope to GOD he runs, this way he will be out of politics, (CLARIFICATION) (He runs for reelection in 2010, being out of politics doesn't necessarily mean not being elected to public office, if Beshear takes him to the woodshed and lays a 15% thumping on him, he is politically, out of politics.) at least for a while. I can not see any way in druid hell that Senate President David Williams (R) could run for governor and win. Al Cross' constant columnin the Louisville Courier Journal suggests that Williams could be the favorite for a run against Governor Beshear in 2011. In my humble opinion, he could not win a statewide race, no damn way. But as this sort of column will certainly swell King David's brain with thoughts of eating his fried baby bones in the governor's mansion, it may also hint at the true political intentions of Secretary of State Trey Grayson (R). I would think the state GOP would be pimping Grayson for governor instead of Williams, so maybe Grayson is thinking about a primary against Bunning. Always read between the lines when dealing with Republicans, especially Kentucky Republicans. Paul Patton's Bold Leadership? Alessi says so. Ryan Alessi writes a column that is best describes as strange. He digs up the bones of the political past and is seemingly trying to resurrect a ghost whose legacy will likely be remembered by an embarrassing Jimmy Swaggart like performance in front of a shocked and angry Commonwealth. Could former Governor Paul Patton (D) be staging a comeback? With a successful special session under seemingly impossible circumstances, Alessi opens his op-ed by taking a shot at Beshear using a part of his campaign theme to drive the dagger home. Governor Steve Beshear (D) brought bickering legislative leaders to the table and also managed to appease King David Williams in the process. But after a remarkable political example of true leadership, what does Beshear get? What does the Commonwealth's most popular news publication write about? Paul Patton's bold leadership"??". I will never be enthusiastic by any rumored Patton comeback, he placed a horrible burden on the backs of Kentucky's coal miners while destroying workers comp in the process. Even though he did appear to attempt to fix the problem, he will be forever remembered in the Eastern and Western Coal Fields as the great Satan. I experienced the terrible results of Patton's knife first hand and I would like to forget that part of my life but I will never forget or forgive him. Governor Beshear deserves credit for a successful special session, Patton deserves a pat on the back and a rocking chair. But rumors are starting that he is sniffing a run in 2010. But I expect current Attorney General Jack Conway (D) to announce a run against Bunning and Patton would never primary him. Or would he? Maybe it will one of those run and drop out and endorse jobs a couple of weeks before the primary. In Kentucky politics anything is possible. Could Senator Bunning Step Aside and Grayson step in? I can't believe I am partially sourcing this guy, but my sporadic sources have been telling me the same thing since Secretary of State Trey Grayson's (R) $150,000+ single night fund-raiser that almost caused me to wreck my car, I found out he potentially raised that hefty amount while driving on I75, fast. Sources told me then that Grayson was maneuvering his way into the top-spot to replace 2 term U.S Senator Jim Bunning (R), even though he was worried about his own race at the time, multitasker, who would have thought. Sources out of this part of the country tell me that U.S Rep. Hal Rogers (R) is flattered but not thinking seriously about running for Bunning's seat. I think Secretary of State Trey Grayson (R) could garner support from both sides of the isle, unless Lieutenant Governor Daniel Mongiardo (D) decides to make a run for the seat, after all if he wants it, it is his, politcally speaking of course. I can not see Grayson having having much of a chance against a Mongiardo or a Conway but NOTHING has even been suggested or even mentioned in passing about a Mongiardo or a Conway candidacy. I think at this time no one knows. Hopefully someone announces soon that they are going to challenge Senate Minority Leader Mitch McConnell (R). All I hear is talk.